Author: Dr. Richard K. Ahrenkiel is a Research Professor of Metallurgical and Materials Engineering at the Colorado School of Mines in Golden, Colorado. Rapid, accurate and contactless measurement of the recombination lifetime is a very important activity in photovoltaics. The excess carrier lifetime (Δn(t)) is the most critical and variable parameter in the development of photovoltaic materials. Device performance can be accurately predicted from the lifetime measurement of the starting material. However, there is no single measurement that directly measures the bulk lifetime as all measurements are based on a device model. A primary issue is that the lifetime is a function of excess carrier lifetime, and measurements must be linked to an injection level. The most common measurements are based on either photoconductive (PCD) or photoluminescence (TRPL) decay. PC decay senses the product of excess carrier concentration (Δn) and mobility (μ (Δn)). This mobility variation must be included in order to extract the true excess carrier lifetime. TRPL works best for direct band gap materials and therefore is not applicable to silicon. For polycrystalline materials, shallow traps distort the measurement and must be included in the analysis of the data. Finally, surface and interface recombination have a profound influence on most measurements and must be minimized for accurate measurement of the true bulk lifetime. Both techniques and analysis methods will be discussed in this seminar. Typical sample measurements will be shown, including representative thin film and wafer materials that are currently popular in the photovoltaic community. 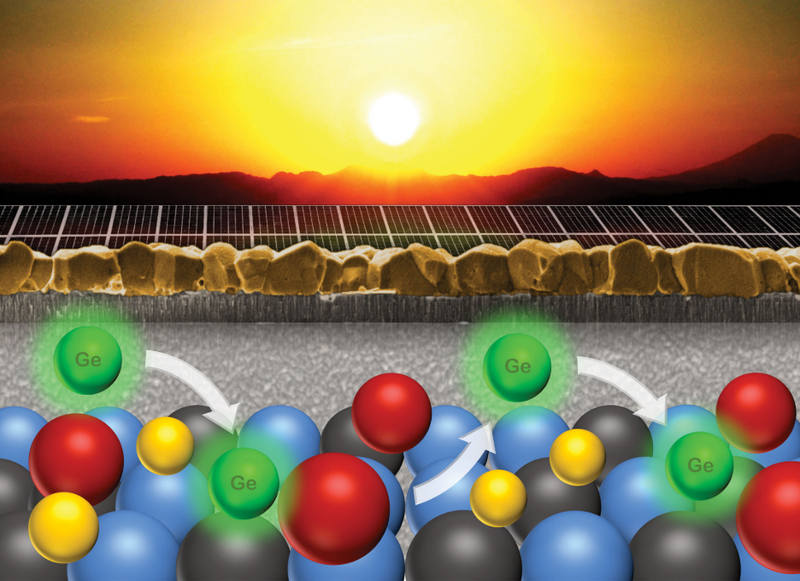 Sodium treatment of kesterite layers is a widely used and efficient method to boost solar cell efficiency. However, first experiments employing other alkali elements cause confusion as reported results contradict each other. 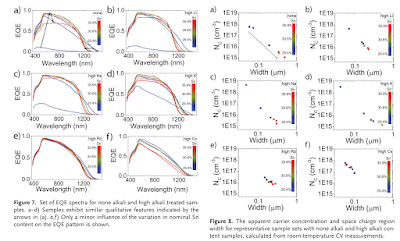 In this comprehensive investigation, the effects of absorber composition, alkali element, and concentration on optoelectronic properties and device performance are investigated. 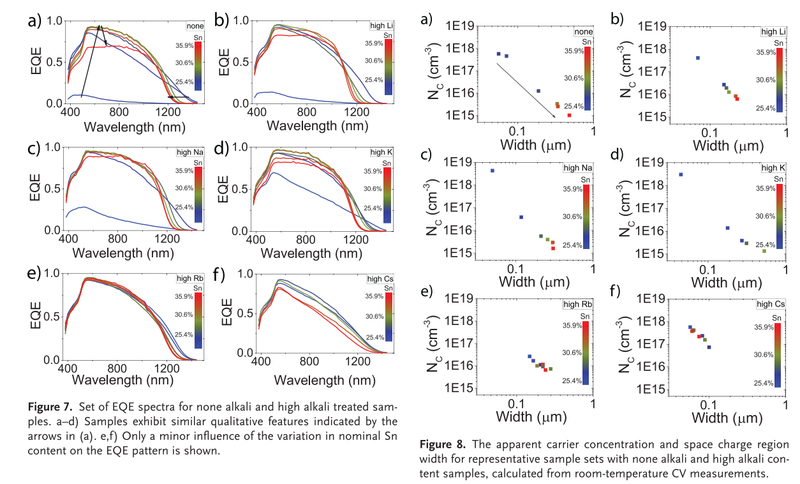 Experimental results show that in the row Li–Na–K–Rb–Cs the nominal Sn content should be reduced by more than 20% (relative) to achieve the highest conversion efficiency. The alkali concentration resulting in highest device efficiencies is lower by an order of magnitude for the heavy alkali elements (Rb, Cs) compared to the lighter ones (Li, Na, K). Utilization of a wide range of characterization techniques helps to unveil the complex interplay between absorber composition and alkali doping. A ranking of alkali for best device performances, when employing alkali treatment, resulted in the order of Li > Na > K > Rb > Cs based on the statistics of more than 700 individual cells. Finally, a champion device with 11.5% efficiency (12.3% active area) is achieved using a high Li concentration with an optimized Sn content. Minority carriers trapping, surface effects and energetic relaxation of carriers has been identified to severely affect the PL transition times. Thus the measurement of transition decay times does not represent the real minority carriers lifetime in the kesterite absorber layer. 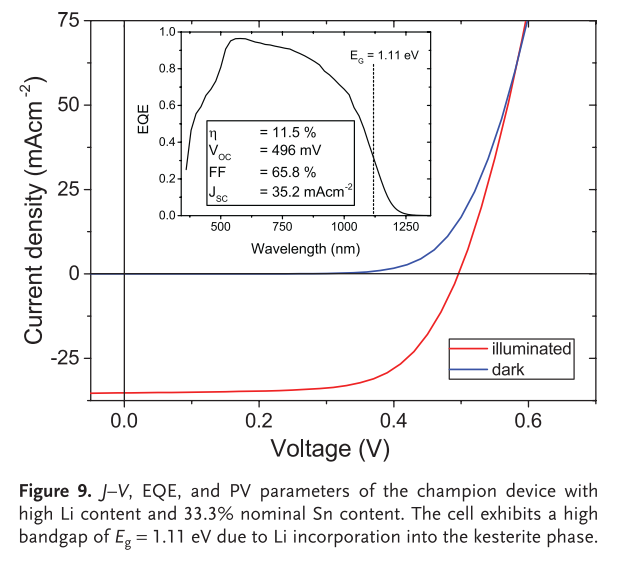 The champion solar cell has high Li content (3.3%) and 33.3% of Sn nominal concentration of 33.3 %. 11.55 % with metal electrodes and 12.3 without a metal grid. Area = 0.29 cm2. A ranking of best device performances employing alkali treatment resulted in the order of Li > Na > K > Rb > Cs based on the statis- tics of more than 700 individual cells. ICP-MS (Inductively coupled plasma-mass spectroscopy), detect alkali content in the absorber layer. C-V (capacitance-voltage): Apparent carrier concentration and depletion region width. Etching: After selenization, the Mo/CZTSe has been immersed in 10% KCN solution (30 seconds) in order to remove copper-rich phases and clean the surface from contamination and oxides. Alcaly High doping ratio of 3.3% (100mM) (related to all elements present in the solution of reaction). Doping is necessary for increased efficiency but it depends on Sn content as seen in the above image. Disclaimer: The intention of this post is to bring some personal notes of the literature review. Open access, follow the link to fin the PDF. Advantages like earth abundant and non-toxic materials of CZTSe will success if the technology reaches 20% efficiency and be ready for industrial manufacturing. 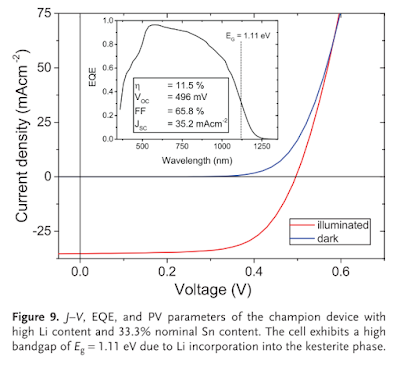 Disadvantages: Low Voc (Open circuit voltage is an indirect measurement of the recombination process of the solar cell, following Shockley design). The beneficial effects of Ge incorporation are not limited to some surface modifications it affects the whole bulk of the absorber. The observed improvement should be located on the absorber bulk due to an increase in the charge carrier lifetime. 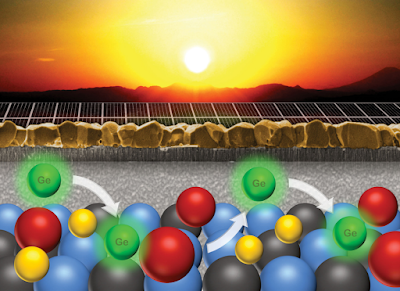 Heat treatment to induce grain growth is crucial for a better solar cell. Then Ge assisted crystallization process affect the whole bulk absorber. Goal: Increase Voc on the device is the challenge to increase efficiency > 12%. Goal: Detect the dominant recombination mechanism. Disclaimer: The intention of this post is to bring some personal notes of the literature review. I'm not sharing the PDF files. For that purpose, please ask the authors or follow the link to the journal. Share book reviews and ratings with Jesus, and even join a book club on Goodreads.